Envirate Mobile App is available! Start using your senses for planetary good. Rating is done simply using your three senses: LOOK, HEAR and BREATHE. "Envirate – a visionary, boundary-crossing, research-based innovation with strong scientific foundation, while utilising the latest information and communications technology. Global market opportunity potential for building a sustainable planetary future." The Award Panel, 12 June 2017. Envirate was selected as the winner of the University of Turku Pentti Malaska Futures Award 2017. The world is facing huge environmental challenges. We need new solutions. 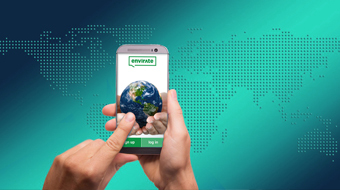 Envirate smartphone app will allow anybody anytime to give ratings on the environment around them – anywhere you go! You can become a watchdog for the state of the Earth. Imagine the day when millions of people with their smartphones have become watchdogs for the earth, creating a real-time worldmap of the state of the local environment. A powerful new early warning system to man-made environmental degradations and catastrophes. 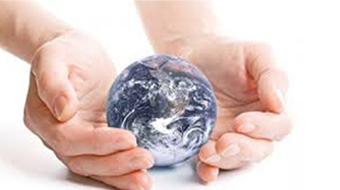 A tool to promote globally sustainable business and responsible political decisions. Our team member Pekka Harju-Autti based his PhD thesis (2016) on the subject of perceived state of the environment globally. At the outset in 2011, academic peers were not convinced it would be possible to gather data from even 20 countries. With verified data quality, this use of people’s subjective perceptions worked very well, resulting to a unique global comparison map with 57 countries. The idea was therefore born that each individual could contribute to expert opinion, and crowd-source environmental information. Now every individual anywhere can be an ‘expert’ and thus start rating the environment via a mobile app Envirate. This is so-called citizen science approach. Citizen science projects are activities where non-scientists can meaningfully contribute to scientific research. Even though numerous citizen science projects are today dealing with the environment, none have an idea of rating perceived states of the global environment with a smartphone. This citizen science approach is well tested and has previously yielded practical and concrete results: Wikipedia lists globally currently 190 active citizen science projects, and SciStarter lists thousands more. This research provided the key stimulus for the idea of Envirate, where the proposed solution relies on existing methodology and provable science. Now we are at a turning point with an existing technology that is increasingly an everyday item for each person – the smartphone – that can be harnessed to overcome global environmental challenges. The rationale is simple: we are used to rating hotels, food, travel and so forth; why not do the same for the environment? Envirate allows anyone with access to a smartphone to give ratings on the environment around them simply using our three main senses: LOOK, HEAR and BREATHE. With the collected data, it creates a universal scale to measure people’s perceptions of the quality of the environment. 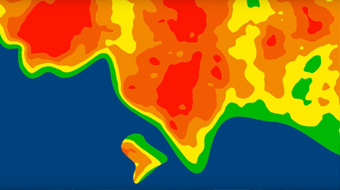 This living, global heat map is updated in real-time. 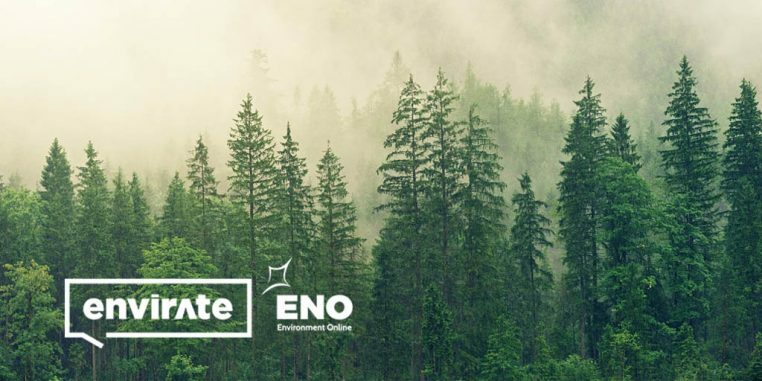 Envirate creates a platform for completely new environmental big data, producing valuable information for decision-makers at all levels – the individual, business, and policy-makers. Envirate is built on well-established, existing technologies: cloud computing for application hosting and handling large quantities of data – and the smartphone app. The quality of the data itself will be checked for consistency algorithmically and compared and weighted with more experienced users, making sure that the data is statistically internally and externally valid worldwide. Analytics and machine learning will have a key role in the data quality implementation. Moreover, extensive gamification is used to engage and motivate people to become better enviraters. Our team member Mika Vanhanen has himself built a unique network of 10 000 schools worldwide that have planted over 20 million trees in the last 15 years. This network will be utilized in the early stages to create an initial user base for Envirate as a natural progression. So, we’ve got a ready-to-go userbase of over 100 000 people to start with. Locals have a natural, vested interest to monitor changes nearby their homes. Tourists will get added benefit from Envirate and show beautiful areas. When you enter a new city, just click one button to see what environmental activities are around – join the activities, feel the fun and social empowerment! Your tourist trips will never be the same! Many NGOs will benefit from the use of Envirate. However, environmental activities are not only for environmentalists – this is a tool for everybody; for all of humanity. The applications are limitless. Envirate can help cities, communities, and activists refocus appropriate resources, help corporations and businesses take local responsibility, inform realtors of prime locations, be an early warning system for environmental abuse…or simply tell you the best place to go for a walk. It has the potential to immediately change people’s quality of life for the better, as well as to monitor long-term environmental factors, to stimulate clean-up projects – in general, to promote local environmental activities. With even a small fraction of the global population as watchdogs for our planet, this becomes a CHANGE. Pekka has a general responsibility of Envirate as a CEO. Janne handles application development and cloud computing. Petri takes care of Envirate app design and visual output. Lauri handles Envirate's Blockchain interactions. Aleksi focuses on the data analysis and local participation & networking. Mika is creating an extensive global userbase in 150+ countries. Kristian manages Envirate's Travel & Tourism communications and activities. Elina manages Envirate's marketing activities.